Welcome to CoreLangs.com - Free computer tutorials and source code website. This website is designed to teach beginner web programmers to learn creative and technical skills like Web Design ,Web Development etc. in various computer languages. All tutorials are aimed at complete beginners, so you don't need experience to get started. These tutorials teach the essential concepts behind building web applications using various programming concepts and modules. 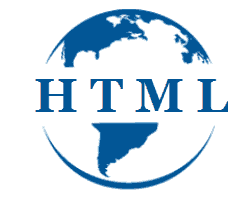 HTML stands for Hyper Text Mark-up Language, one of the document formats of the World Wide Web . HTML defines the structure and layout of a Web document by using a variety of tags and attributes. Since its initial introduction in late 1991, HTML has undergone many changes. HTML 5 is the newest specification for HTML, and many web browsers are going to start supporting it in the future. You can use any text editor to create or edit an HTML document as long as it can save your work on disk in text file format (e.g. Notepad).